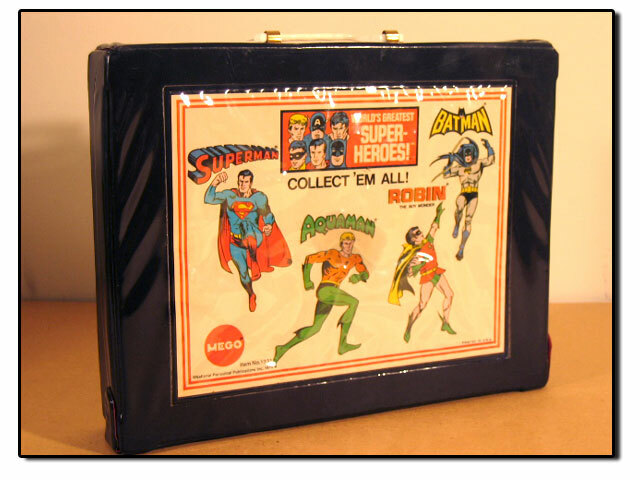 The World’s Greatest Super Heroes Carrying Case was the earliest WGSH Accessory. 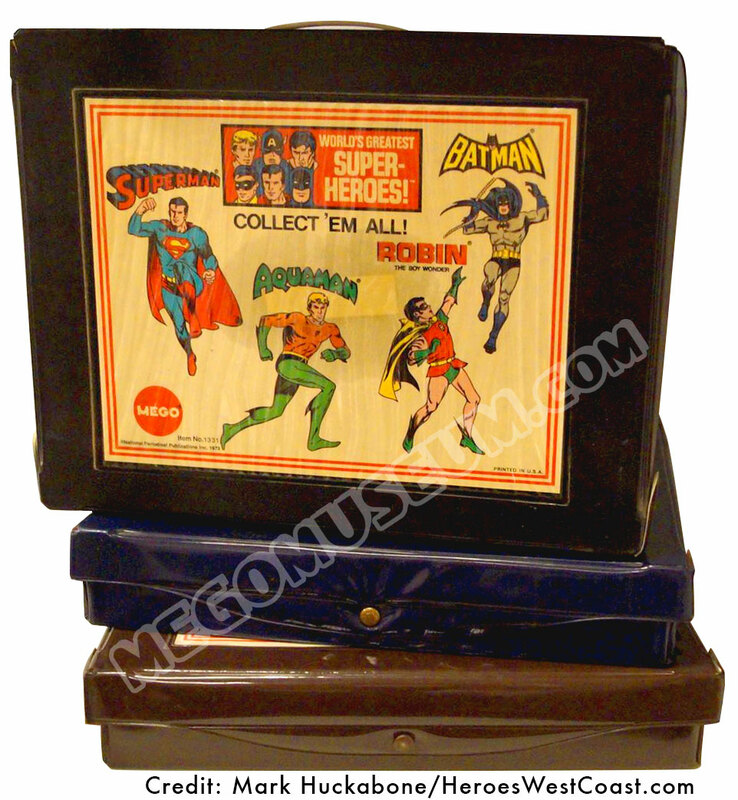 It came in black or blue vinyl and nearly all examples suffer from a glue stain in the center of the paper, right behind Aquaman. Poor Aquaman. 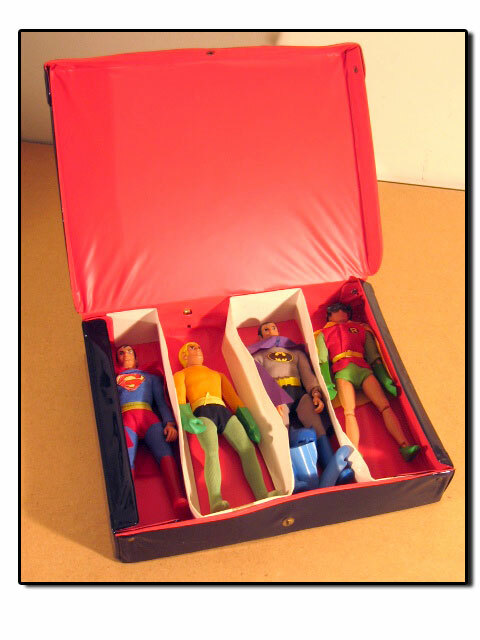 This would be the way you’d want to find one of these cases at a garage sale: Stuffed with rare first series heroes. From the collection of Rob Chatlin.